Terry recently completed an unusual gift commission. Rather than being given as a gift a couple ordered it for themselves as a treat after a hard year of trying to renovate a new home. 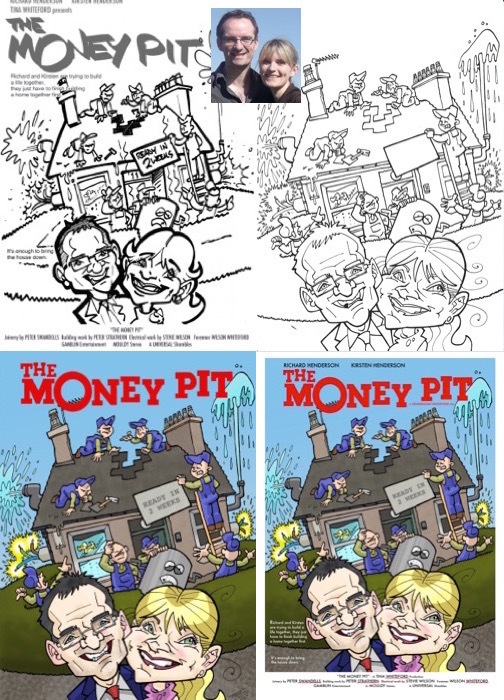 Their situation was similar to the 1980s comedy The Money Pit and so they wanted a spoof of that film’s poster with caricatures of themselves replacing Tom Hanks and Shelley Long. 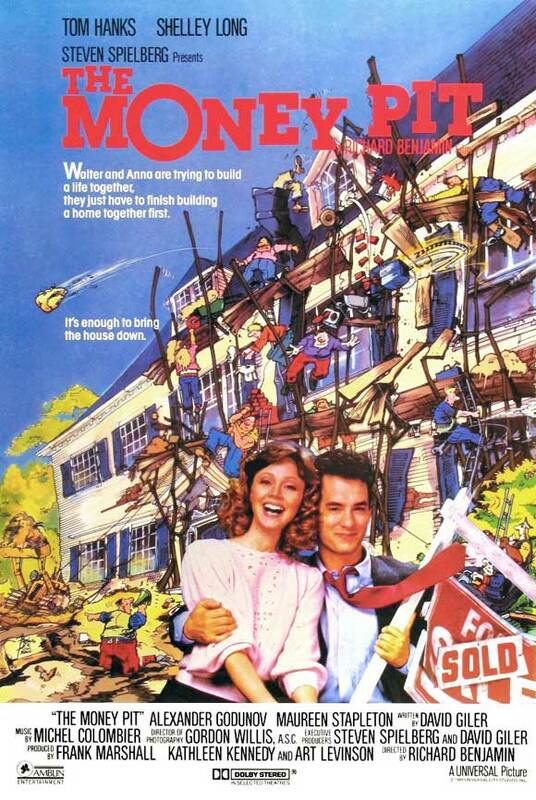 Taking cues from the cartoon background and colour scheme of the original poster Terry also included the logo, lettering and references to people who worked on the house in the “credits”. Here’s an overview of the work in progress and the final framed print. 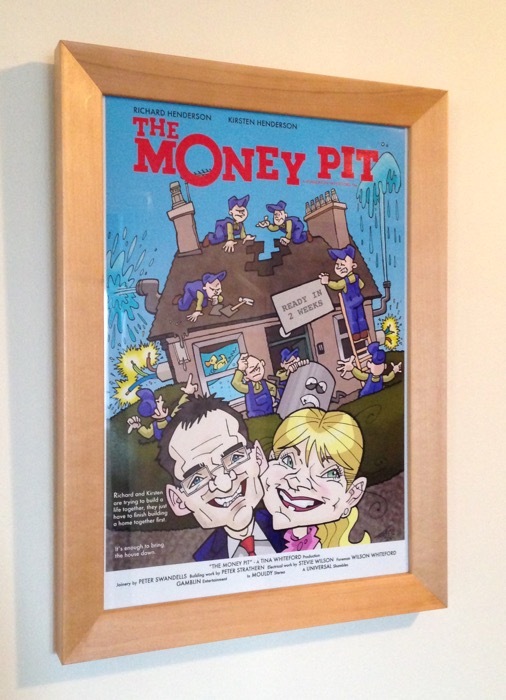 If you wish to commission a caricature for any occasion please get in touch.